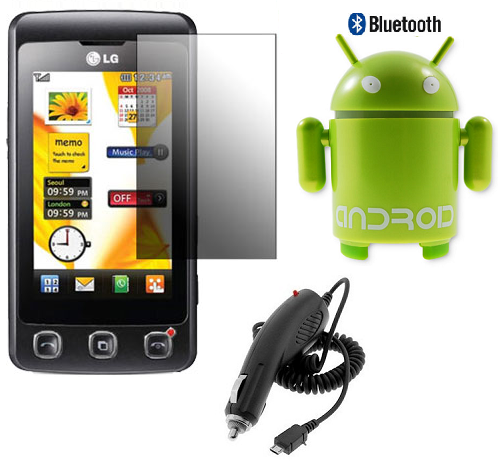 LG Cookie Lite T300 is a very affordable phone which LG has launched. This phones looks as it is a very expensive handset but it is not case. This handset comes with a reasonable price in the market. It works on the GSM network. Weight of the phone is only 77 g. It is a very light weighted phone and easy to carry it off anywhere. It is available in four amazing color combinations. You can choose the combination which you like. LG Cookie Lite T300 is available in jet black and bold red, French white and bright orange, silver and jet black and lastly cute pink and white. All the combinations look great. You can save up to 1000 no’s in your phone book. You can get the data up to 100 missed calls, dialed no’s and received calls. This is one of the key features of the phone. No matter you are using any phone which is expensive or not but you got to have proper accessories for the phone. Accessories not only protect or defend your handset but also increase durability of your phone. There are many latest and advance LG Cookie Lite Accessories available in the market. You have to choose the ones which are required as per your usage. You will have to check all the features of the phone and then buy the accessories or order them from the site. By opting for LG Cookie Lite Accessories your phone will look like it is a new phone. This entry was posted in Accessories, LG Cookie Lite Accessories and tagged accessories for lg cookie lite, lg cookie lite bluetooth, lg cookie lite car chargers, lg cookie lite car kits, lg cookie lite case, lg cookie lite cases, lg cookie lite chargers, lg cookie lite covers, lg cookie lite data cables, lg cookie lite screen protectors, lg cookie lite speakers, lg cookie lite t300 accessories. Bookmark the permalink.